Anyone who's lived in San Antonio for more than a few years has probably attended a Fiesta party or two. But for those of you who haven't – and we know you're out there, shamefully hiding the fact that you've never been to Fiesta for fear of ridicule – here are 30 Fiesta events that you've got to go to at least once. Some of them made the list because they're popular, and some made the list because they're underrated, but they all made the list because they're worth your time. 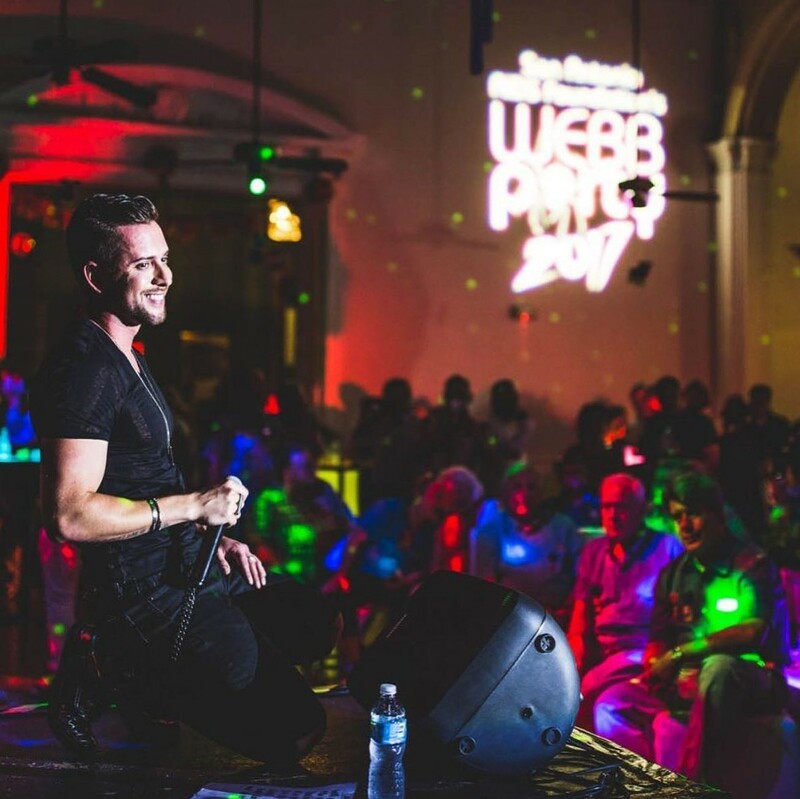 Perhaps one of Fiesta’s most iconic events, the WEBB Party attracts more than a thousand guests and raises money for the San Antonio AIDS foundation. The theme changes every year, so don’t ever miss it. 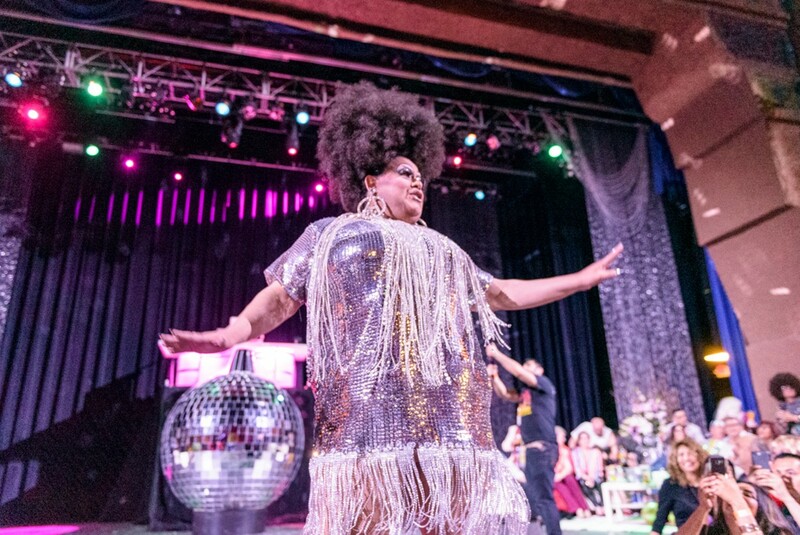 This year’s theme is “Stayin’ Alive,” which celebrates both medical breakthroughs and, of course, the disco era. The headliner will be the remarkable Ada Fox. For those who don’t know, charreada is like the grandfather of the modern rodeo (charros being Mexican horsemen). This Fiesta event happens twice this April, on the last two Sundays of the month. There will be vendors before the rodeo, with the website saying to expect about two hours of rodeo time, during which there will be several different events. Dog lovers gather here! Especially people with a passion for service animals and their community. The Fiesta Pooch Parade is the major fundraising event for Therapy Animals of San Antonio. This event will kick off with a costume contest, after which, the parade will begin. The Texas Cavaliers River Parade features more than 45 unique floats. That’s one reason (or 45?) alone to experience this at least once. Another reason is that the organizers of this event, the Texas Cavaliers, have distributed more than $8 million to charities around Texas, which is a whopper of a number. 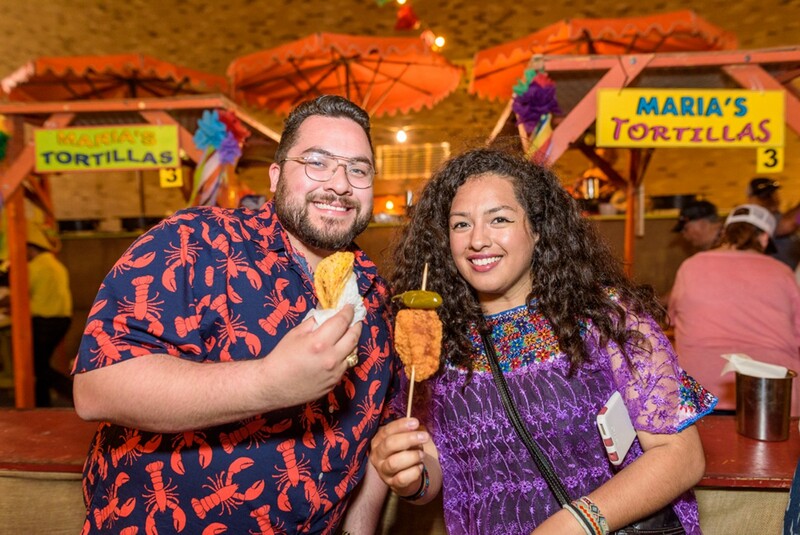 Filled with fun, Fiesta San Fernando will include everything you want in a Fiesta event, taking place at one of the most puro spots in San Antonio. The celebration will have, perhaps most importantly, beer. Additionally, you’ll be able to find tons of food, a market, and unlimited musical performances from all of your favorite genres. NIOSA? ’Nuff said. Just don’t go on college night. Can’t wait to do something great for the environment and plant a native tree which has been dotingly cared for by Botanical Gardens volunteers? Can’t wait to see the magic of the Guadalupe Dance Company again? Can’t wait to welcome the throes of spring in the beautiful San Antonio Botanical Gardens? Then this event is for you. Designed to bring awareness to the newly-developed Mission Reach Ecosystem Restoration and Recreation Project of the San Antonio River, the Mission Reach Flotilla Festival will have a ton of features and things to do. There will be an ‘80s-themed costume contest (hello, hairspray and shoulder pads) for not only humans but pets as well, live music, dances, local and commercial vendors as well as local eats. You’ll make such good memories that you’ll want to keep returning to Mission Country Park again and again, long after Fiesta is over. Literally how much cooler can the Battle of Flowers family of events get? The Battle of Flowers Band Festival is the oldest and longest-running marching band festival in the country. The purpose is to give the opportunity to more than 30 local high school bands to show their stuff, while fostering the love of music and the chance to earn grants. If you’re not sure what Cornyation in, let this be an introduction: their fans are called Corn Holes. Self-described as “cheap, raunchy, and ready to party,” Cornyation is kind of like a satirical review of current and local affairs. We mean events, not who’s getting with who, of course. With Cornyation, who knows. Made famous by its historic significance and uncommon (at least for San Antonio) Victorian architecture, the King William Fair and Parade takes place in this historic part of town. The Fair and Parade will feature music, food, an artists’ alley and a children’s kingdom. What Fiesta event doesn’t? What sets the King William variety apart from the rest is, of course, the beautiful atmosphere and surroundings. This will be the 71st public crowning of Rey Feo Sal Barbaro III. This isn’t just a public crowning, though. 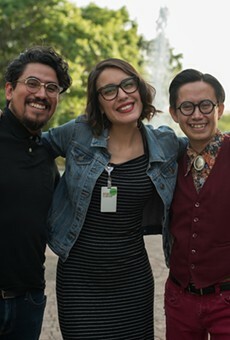 Since becoming an official Fiesta San Antonio celebration in the early ‘80s, League of United Latin American Citizens has raised more than a quarter of a million dollars for scholarships to youth in San Antonio. Rey Feo, of course, is the “People’s King.” The chic, expensive afterparty will cost you $125 though. Originating in the 1970s and benefitting the Southwest School of Arts in San Antonio, Fiesta Arts Fair has an annual participation of around 12,000 people, making it a highlight of Fiesta. This event is not only great for art-seeking and art-loving adults, but it has a great feature for the younger members of the family as well, which is the Young Artists’ Garden. You won’t find just art, though – you’ll also find food too. Mmmm. For those of you who don’t know, Fiesta Flambeau Parade is pretty much the crown jewel of Fiesta San Antonio. That, and it has been called the world’s largest night parade, which is a...shining claim to hold. This year, it will be led by the University of Texas band and will feature marching units of various bands, dancers, themed floats and equestrians. What could be more beautiful than attending a free event hosted by United San Antonio Pow Wow? More beautiful, even, is the chance to experience the culture of America’s first inhabitants in an environment meant to dispel stereotypes to anyone who has genuine interest. Not to get all SJW on you, but it’s pretty awesome. When you think of New Orleans, what do you think of? Food is probably near the top of the list. That’s just one of the things – albeit a major thing – that the Taste of New Orleans Fiesta event promises. There will also be New Orleans-style music and entertainment. How could you even consider missing this? Think of the beignets! While admission to the carnival itself is free, you’ll be finding yourself paying for rides all night if you don’t get an unlimited rides wristband, which, at $22-$25 (or $18 if you buy before April 17), they’re pretty reasonably priced if you plan to ride until you puke. Which we highly recommend. Plus, this event is hosted by the same company that organizes the Poteet Strawberry Festival, so you know it’s gonna be well done. At the Ford Mariachi Festival, San Antonio River boats will float by, carrying different performers of Mariachi music and Folklorico dancers alike. As the boats make random stops, sit along the River Walk and sip a margarita, enjoying the traditional songs, dances, and costumes worn by the performers, who are from various schools around the San Antonio area. A self-proclaimed party for “the pint-sized folks” (AKA the children), Fiesta De Los Niños is perhaps Fiesta’s most family-friendly event (which isn’t to say that many of the events aren’t family friendly, but still). While it will feature a parade that will go through Port San Antonio, there’s more to it than that: games, STEM-related activities and rides. There’s even room for the non-pint-sized folks (AKA the parents) to dance. The only downside? No alcohol. There is just so much to love about the Chili Queens Cook-Off. May the best chili win! May the best chili also be represented by the tackiest queen imaginable. If you’ve missed this event in recent years, you should definitely make it a point to stop by this year in honor of BX owner Kenneth Garrett’s passing. For those who don’t know, the Battle of Flowers Parade is the founding event of Fiesta. 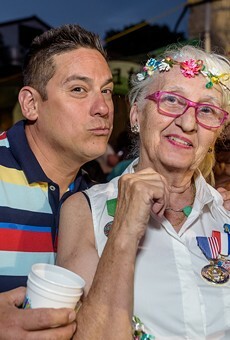 Perhaps even cooler – depending on who you ask – is that it is the only parade in the United States organized ENTIRELY by ladies. This event attracts more than half a million people, so get tickets while you can (or find a spot nearby to post up) and support this amazing event. As the self-proclaimed “heartbeat of Fiesta,” Oyster Bake is something you’ve got to experience at least once in your life. What has been going on for more than 100 years returns again to bring you oysters, one of the biggest parties during Fiesta, and musical entertainment. Make sure not to miss it this year, because Seether and Montgomery Gentry are the headliners. Mission San Jose is pretty cool in a lot of ways. Not only is it considered widely as “the Queen of the Missions” (yas queen), but it is part of the National Parks system, and holds the distinction of being a church. It’s also the stomping grounds of San Jose Missionfest, where you can find entertainment all day, food, drinks and a kid’s corner. Just remember that this event is free if you get there before 4pm – otherwise, you’ll have to hand over a $5 cover fee. Was 1969 a simpler time? Probably, but don’t forget that in the months following Fiesta in 1969, we put a man on the moon. This exhibit at the Witte Museum, running from mid-April to late July, shows the space and science-themed Fiesta royalty outfits from the year 1969. While Fiesta is a great way to celebrate puro cultura here in San Anto, puro isn’t the only thing we celebrate. Enter Fiesta Gartenfest, one of Texas’ oldest German societies. Their purpose is to bring German song and dance to the public, and they do just that in their Fiesta event, Fiesta Gartenfest. You may have seen Piñatas in the Barrio in the past. And you may have been impressed by them, too. But what you’ve seen in the past won’t stand up to Fiesta 2019: this year will hold “the Barrio’s Largest Piñata.” You heard it here – this year’s piñata will be record-sized. Plus, you’ll be supporting Action United for Entertainers and Diversa Artists, who help musicians and local artists in their time of need. Featuring not only the San Antonio Symphony but Guadalupe Dance Company as well, this year’s Fiesta Pops run from April 26 to April 28. The show includes music, dance, and culture from Mexico and South America performed by San Antonio’s finest talents. One thing you may notice about many of these Fiesta events is that they’re incredible fun, but they also benefit the community in some way. This official Fiesta event, Fiesta Comedy Explosion, is no exception. Hosted by the Priest Holmes Foundation, this $28 event is an annual fundraiser for a scholarship that will go to high school seniors graduating in Bexar County. Known for being the oldest volunteer fire department post in Texas and located on 10th Street in San Antonio (hence where the name 10th Street River Festival originates), this official Fiesta event is free and has music and, of course, beer. Taking place on the site of an old, Victorian-style house and benefiting military veterans, this event is a can’t-miss if you’re down for good music and atmosphere. This year’s Deco Fiesta brings a lot to the table. Taking place in the historic Deco District of San Antonio – which put Tex-Mex cuisine on the map and made famous by its colorful murals – Deco Fiesta is outdoors. Local vendors, all of the foods you’ve ever cared to try and musical acts for all ages makes this event worth visiting if you haven’t before.